Sometimes an album cover succinctly captures the essence of the music percolating inside that cardboard sleeve. There is just something inexplicably inviting and endearing about a casual snapshot of a bearded and bedraggled Bobby contentedly gazing into his dog’s eyes. These two rascals share a moment of solitude alongside a murky riverbank with only the shade of a towering tree to keep them company in the light of a gorgeous afternoon. It nails the mellow, lackadaisical vibe of his self-titled debut while projecting the joy, camaraderie and gentleness that Charles exudes throughout each of these slices of life and their respective protagonists just trying live an celebratory existence unbothered by the drama and heartache nipping at their heels. Some of them succeed, some fail. All of them live life to its fullest and chase the high and lows with all their earthly might. His 1972 debut was his only real attempt at stepping at the spotlight. It’s follow-up didn’t arrive until 1987 for god’s sake, but Bobby Charles was a reluctant performer who played no instrument and couldn’t read music. However, that didn’t stop him from penning “Walking to New Orleans” for Fats Domino and “See You Later Alligator” for Bill Haley and the Comets. In an interview, he simply stated that songs occasionally sprung fully-formed in his mind and he would then go to a payphone and sing them into his answering machine for posterity. He was a man who walked between the raindrops and exuded a charismatic air, but was also a reclusive soul burdened by the weight of the successive days of his existence. It’s testament to the wild and wooly life of the Cajun songwriter that he somehow jumpstarted the careers of some rock and roll’s earliest stars, got signed to seminal blues label Chess Records, drifted away from the music industry altogether and found himself in Woodstock, NY where he was hiding out due some charges of drug possession. It was one of many moments of kismet in Bobby Charles’ life as he met Paul Butterfield who then introduced him to the Bob Dylan’s infamous manager, Albert Grossman. 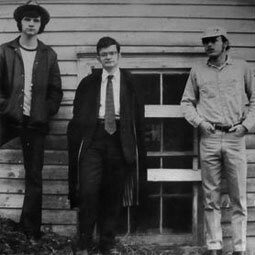 Grossman promised to take care of the charges and attempted to turn Bobby into a star and lined up Rick Danko as the producer and lined up Dr. John and most of The Band to play alongside him during the recording of his self-titled debut. The stars were aligned for greatness and the results were indeed transcendent, but Bobby Charles joined a long line of great musicians who deserved the love of the masses and received only indifference in return. An aborted attempt at a follow-up was shelved and Bobby took advantage of a loophole in his oppressive contract with Grossman and hightailed it back to Louisiana where he lived a quiet, unassuming life until his death in 2010. Dr. John and The Band were the perfect partners in crime for Bobby Charles’ muse at this point and time in his life because this batch of nine songs is a true intersection of the loose and joyous side of the former and the rural grandeur and gravitas of the latter. However, Charles has a few curveballs in his selection of pitches and “Let Yourself Go” almost sounds like a single from Van Morrison’s Tupelo Honey transplanted to a rickety honkytonk where R&B, countryi and the blues happily mingle as if they were long lost brothers and sister. It’s a bruised plea for love and its most carnal pleasures as he slowly chips away at her doubts and concerns about this man who is most certainly the wrong kind of fellow for her. I could listen to the spare, haunting, yet subtly funky organ break that flows through “Small Town Talk” and how Charles kind of sings a duet with it and adjusts the rhythm and flow of his singing to mimic it’s herky-jerky grace. Plus, it begins with the best goddamn whistle and “mmm-hmm” known to mankind as Charles bemoans the suffocating nature of a small town and delivers a humble sermon on the sinful nature of tossing stones in glass houses. It’s a graceful song that seemingly glides along effortlessly as the whole band just locks into a stoned groove that would’ve been a hit if I ever had omnipotent powers over the Top 40 charts in 1972. “Street People” feels like an autobiographical narrative of the vagabond life that led him to Woodstock as he champions a wayward lifestyle without a paycheck or cumbersome list of responsibilities as the true enlightened path to happiness. Hanging out is a virtue and simplicity is an artform in Bobby Charles’ world. 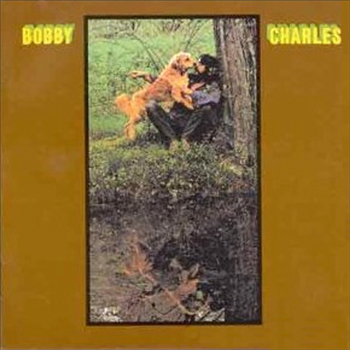 As the temperatures rise and humidity rears its ugly head, I cannot imagine a better soundtrack for those hazy nights than Bobby Charles’ self-titled debut. Nothing goes better with a cold drink, a starry night and escapist hijinks than this starcrossed and soulful collection of songs. Please befriend magicistragic on facebook if you would like additional updates, music and videos that reflect my scattershot mind.